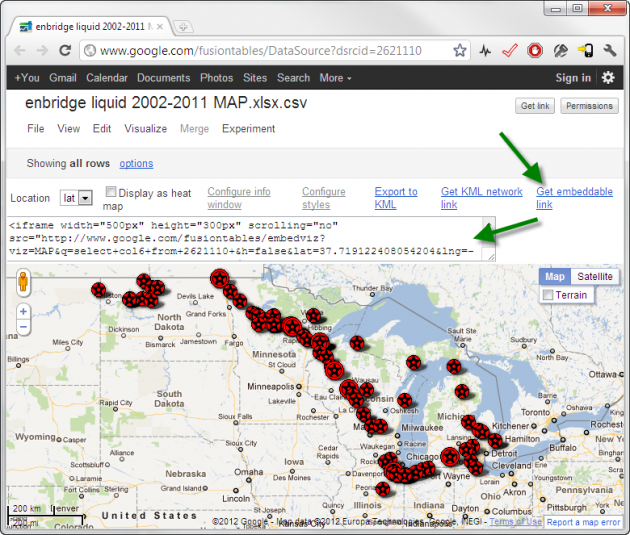 Just testing: a Google Fusion Table map embedded in a WordPress blog post. Here’s the original Fusion Table table. That data is described in this Ottawa Citizen post by Glen McGregor. I’m posting this because someone was having trouble with this process and I wanted to try it out myself. I didn’t have to make any modifications to my existing WordPress 3.3.1 installation or theme to get it working. Please note however that there is still a Conservative majority. Update (later the same day): I’m pleased to see that Glen McGregor was able to embed the map on the the Edmonton Journal site, and wrote a telling article around it.